Join the discussion on our forums! 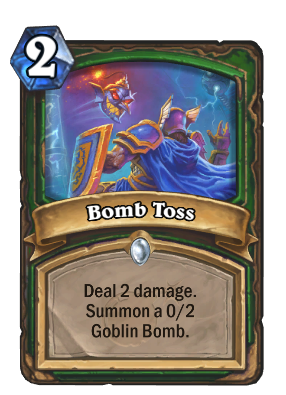 Come discuss Bomb Toss over in our dedicated Bomb Toss discussion topic. Even hunter is real bois omegalul. 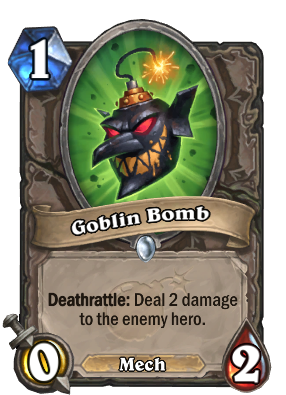 Here's my theorycraft on a Goblin Bomb deck featuring Bomb Toss, filled with Magnetic & Mech synergy. 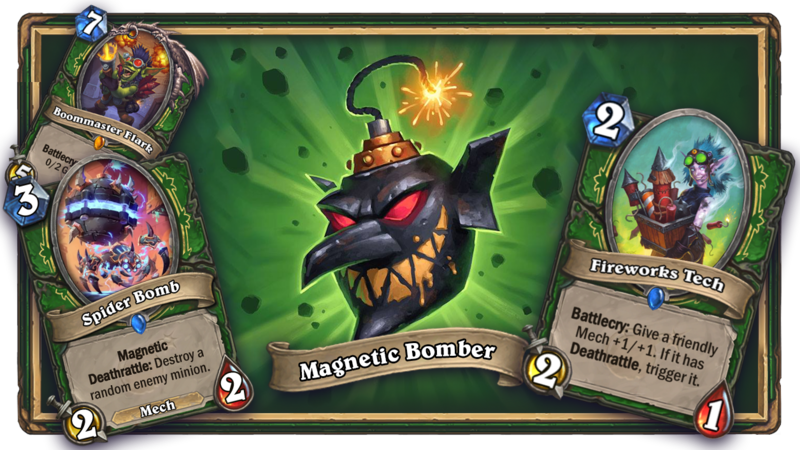 Leaning towards building strong boards & combo threats as opposed to being too Deathrattle focussed. It's face damage with more face damage included in a package! A good deal, indeed! Arcane Shot with a deathrattle minion attached to it. Not bad but not great. "Hunter has no way to deal 2 damage"